'Haze and Fog' is an ambitious new film commission, taking on the popular zombie movie genre. 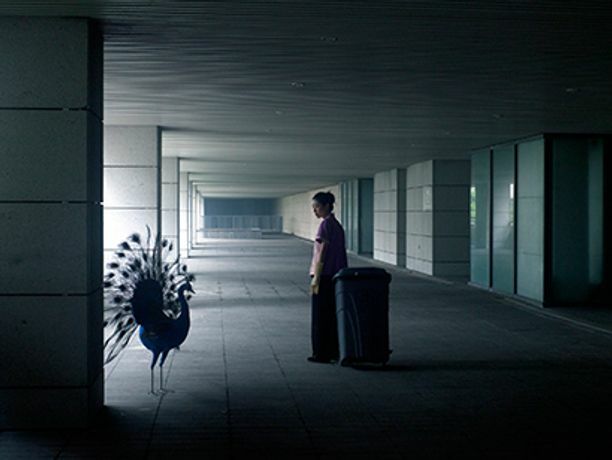 One of the most important female Chinese artists working today, Cao Fei, uses her work to examine intimate personal and cultural relationships to a modern day metropolitan China by exploring notions of class and value structures, powerlessness, the masses as a neutral force, and frozen moments of time. 'Haze and Fog' presents a move away from the traditional good versus evil heroic drama of zombie activity. Instead, the film focuses on the chaotic world of what the artist describes as a 'magical metropolis'. A clear vision emerges through the struggles of the everyday and mundane daily routine, showing the tipping point between the visible and the invisible sides of life - the current reality in, and of, China. 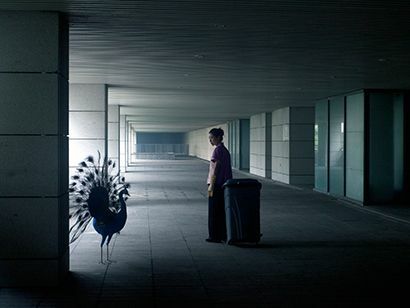 The film is Cao Fei's most ambitious moving image work to date and is a joint commission, the inaugural work to be acquired for the New Chinese Contemporary Art Collection, the first in the UK created in partnership with the University of Salford. This new initiative builds on the strengths of both institutions, commissioning emerging Chinese artists, developing work for the collection that will aim to increase knowledge and interest in Chinese contemporary art across the UK and internationally. The collection will be officially launched on 11th October at Media City UK, Salford. 'Haze and Fog' was produced by Eastside Projects (Birmingham) and Vitamin Creative Space (China) and is commissioned in partnership with Eastside Projects, Arnolfini (Bristol), Bath School of Art and Design, Bath Spa University. The film will also be exhibited at Eastside Projects (Birmingham) from 21st September ' 16th November, screened at Tate 22nd September, and at Arnolfini (Bristol) as part of a series of events profiling the artist's work.